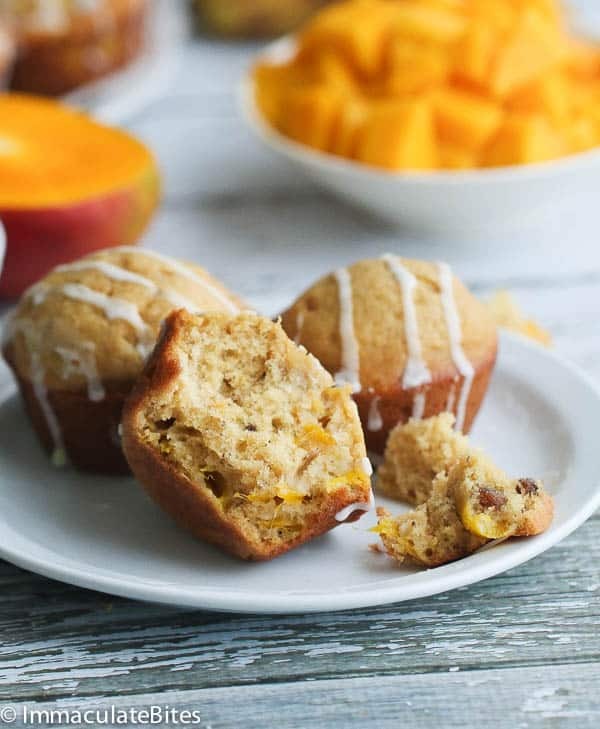 Banana Mango Muffin- Moist , Fast and fluffy , get excited about this tropical bread. Once considered exotic and aphrodisiac. The consumption of mango has settled in and is somewhat of another fruit, not so exotic anymore. You would find them available in most supermarkets and street corners, especially during mango season. And for mango lovers like me, we are always on the look out for new ways to use up this tropical fruit. On the second try, I ditched the mixer (Not that I think the mixer was the culprit here) just wanted to see how it would work out for those times, when you are too lazy to pull out a mixer. Surprising enough it turned out just the way I dreamed it would be- Moist, tasty and fluffy. 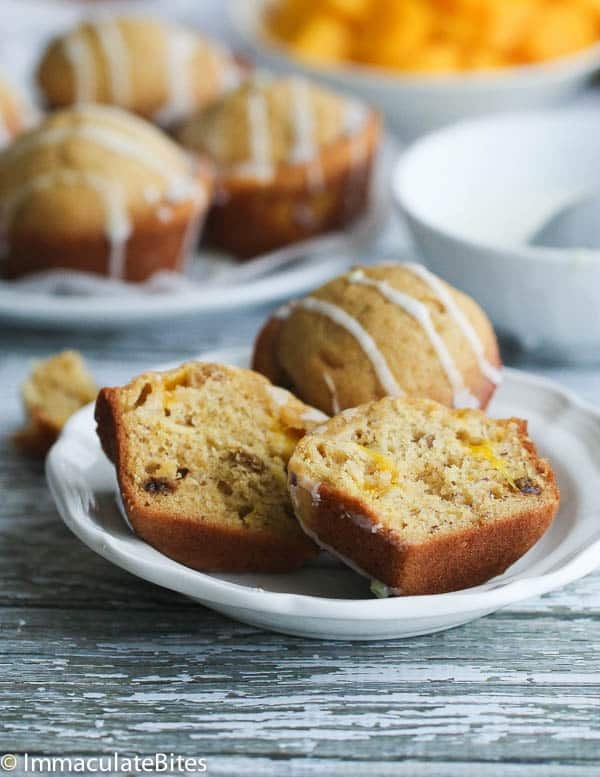 Say hello to my new favorite banana bread – Mango Banana Muffin Bread and it only took 15 minutes to make- had to pick up my son from summer camp so was in a hurry, had to be out of the oven before I left. Ok, maybe you have some doubt about my piping skills but I want you to erase every doubt you have about this muffin. It is Wickedly Good and you are going to DIG it and the glaze makes it dessert worthy. 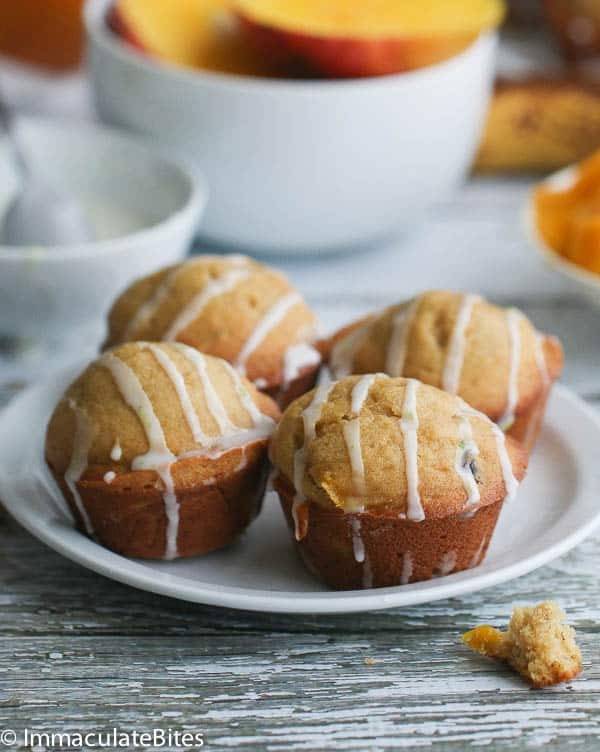 In a small bowl whisk together eggs,mashed bananas, sugar (brown and white) sour cream and vanilla. 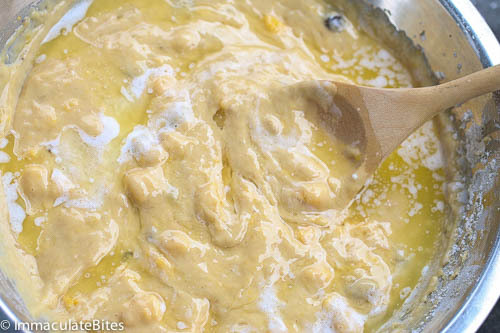 Gradually add wet ingredients to the bowl of dry ingredients add whisk with a spatula until thoroughly mixed. 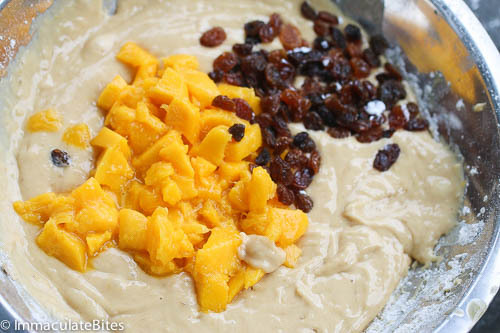 Throw in mango, raisin and ginger spice. Fully combine to incorporate ingredients. Finally pour in melted butter thoroughly mix. Scrape down sides. 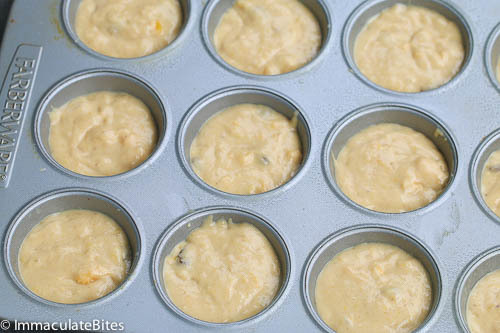 If using a muffin pan bake for 16 -20 minutes or until a tooth pick inserted comes out clean. Let it cool before glazing. Yummy recipe✔️, made this ‘sarvo, V’ happy hubby, loaf not muffins, no icing, moist with crispy crust ✔️. Rested the raisins in the rum before cooking ✔️. M’be with some ‘home made’ mango ice cream next time, now they’re in season. Awesome! Glad it turned out well for you, Rhondalesha! Just made this but with gluten free waffle . 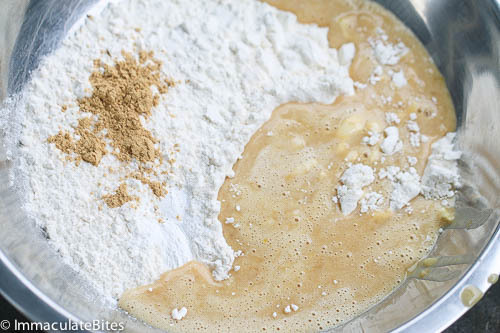 mix instead of regular flour. Not bad. Needed to cook for longer and did not get that nice golden brown but still a keeper. Maybe next time bake at 375. Thanks for the feedback. This recipe works best with all-purpose flour. I love mangoes, but for some reason they are hard to find in Italy while pineapple and bananas are not. I can easily get canned mango pulp though, which is pureed mango with a bit of sugar in it (not much, like 10%). 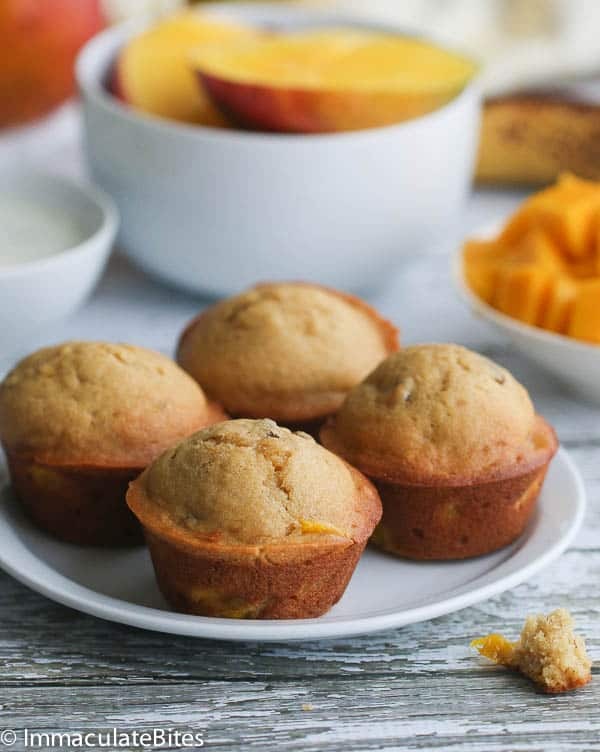 Do you think I could use it in place of the fresh mango, maybe using a little less sugar in the batter? 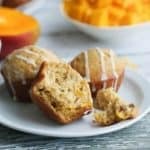 Can you make this into a loaf bread instead of muffins? 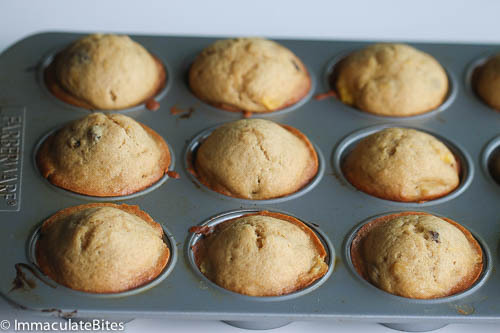 I’m in the middle of making these and realize that I don’t know at what point you added the bananas!! I’m just going to throw them in with the mangos…fingers crossed! My bad!!! Just got it fixed. Yummy. Came out nicely. We love it. Hey kelsey, so glad you liked this one too! 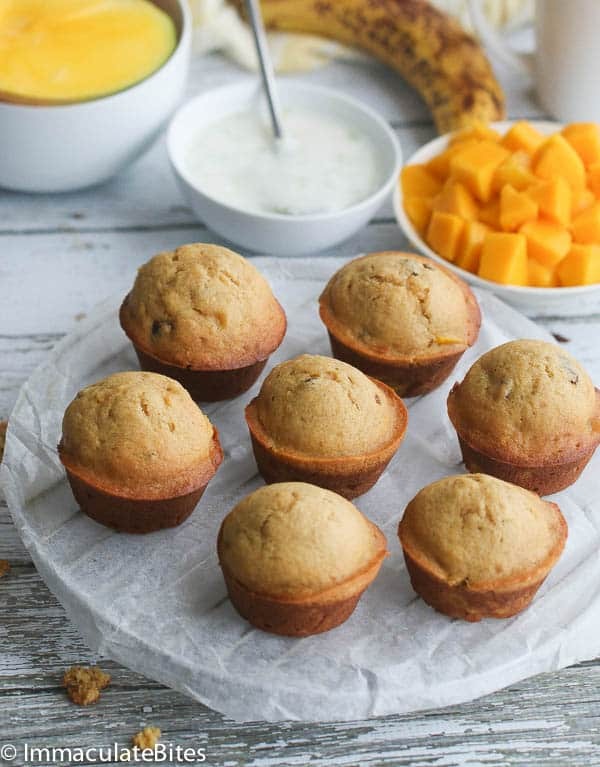 Banana and mango sound so good together in a muffin! 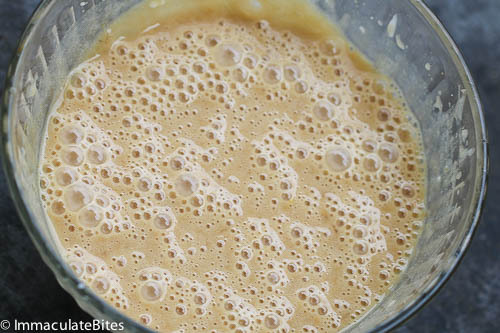 Just made this – I added in the banana with the wet ingredients at the start (not sure if that was right! 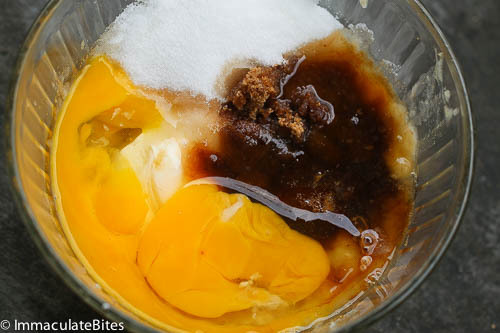 ), used egg replacers for eggs to veganify it and used caster sugar/maple syrup mix instead of brown and white sugar to cut back on the processed sugar….a little sticky because of my changes but absolutely lovely! I lve making your recipes, they are just mmm mmm mmmmm! Aww thanks Catriona! Thanks for the vegan version you provided.